At Indigo Catering Equipment we’re proud to work closely with FCSI consultants in the UK to bring you the most efficient kitchen designs and installations possible. Our method of consultancy is very hands-on and connects you with the best in the industry. You’ll benefit from a model that pays for itself and ensures all aspects of a project are thoroughly planned, ensuring all working practises are correct and that all specifications are met. We work with experienced consultants whose aim is to deliver your project on time and in the budget by removing any ‘gaps in knowledge’ you may have. Throughout the planning, design, building, and completion, Indigo Catering Equipment and the top consultants we work with minimise stress and focus on the success of the final installation. All of our work conforms with EHO, building and fire regulations and we are happy to liaise with external contractors, architects and M&E consultants as part of the process. For a free initial discussion please get in touch or call 01323 843447. You can also view some of our previous works here. 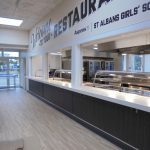 As part of our services, we provide an experienced and professional view of project management for commercial kitchens, connecting you with the best consultants in the industry. This includes insights that consider EHO, building and fire regulations, as well as the commercial requirements of kitchens relevant to their proposed use.